447.00 sqft. - 1215.00 sqft. Vishwas Carnation is a premium housing project at Bileshivale in Bangalore. The project is ready-to-move and the residents can enjoy several amenities including as . Social infrastructure like banks, schools and parks surround the area. It is also very well-connected to various parts of the city by public transport network. Located in the North of The Silicon Valley of India, Bengaluru, Bileshivale is counted as one of the emerging popular hubs. This prominent location is easily accessible via roads and rails. Hennur Main Road, Maple Meadows Main Road, Hennur Bagalur Road, Gurukulam Road and 1st Cross Road panders effective connectivity to other nearby areas. The Kempegowda International Airport is located at a short driving distance from here. Banaswadi Railway Station is the major railway station linking it with other neighboring localities. It is well connected to nearby IT hubs for a better standard of living of the residents. Educational institutions like Vijaya Vittala Institute of Technology, Alpha College of Engineering, Legacy School Bangalore, United International School, Englewood Primary School, Faran College & Schooling of Nursing and many more are located in and around the locus. A number of companies are settled within and adjacent to this vicinity here like Manasa Foundation, Bhagawan Timbers, Shah Group, etc. Away from hustle and bustle, it is an ideal place to dwell in for those who are looking for a new condo address amidst tranquility with a pinch of vibrant lavishness. Vishwas Bawa Builders is a prominent name in the Real Estate and Property Development domain of India. This group has the vision to develop India’s infrastructure industry. The plans of the architects and engineers of this group show that they have a futuristic view which will allow them to design homes which will be commonly found in future. 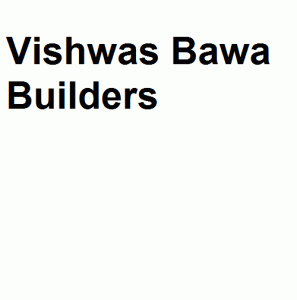 The professionals of Vishwas Bawa Builders are committed to their work and have proper work ethics. They are an expert in the field and are skilled, competent and determined to reinvent Indian infrastructure. The praise of the customers and clients is the best reward for the hard work put in by this group.